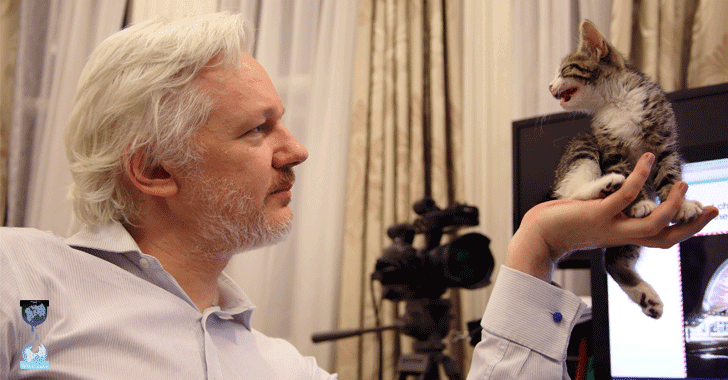 Don’t worry — Julian Assange is alive and kicking! But his Internet connection is dead. The tweets referenced Ecuador, Secretary of State John Kerry and the United Kingdom’s Foreign Commonwealth Office. However, these rumors were ended by WikiLeaks’ volunteer Kelly Kolisnik, who tweeted, "Julian Assange is alive and well. Rumors circulating that he tweeted out a "Dead Man’s switch" are completely false and baseless." Moreover, a Reddit user suggested that the tweets included "hashes" that would be used to ensure that information leaked by WikiLeaks in the future is authentic. "WikiLeaks is tweeting out hashes. They’re not passwords to unlock a file, but a digital fingerprint to prove its authenticity." Like in this case, any future WikiLeaks download of documents involving Secretary of State John Kerry will possibly contain the ‘Pre-commitment 1′ tweet code as proof of their authenticity. Who’s Wikileaks’ Next Target? John Kerry? The first WikiLeak ‘pre-commitment’ tweet has mentioned John Kerry, the Democratic Party politician who is the current United States Secretary of State. So, it’s likely that Wikileaks is about to release Kerry’s emails, following its publication of troves of hacked emails from Democratic National Committee (DNC) documents in July and, most recently, emails from Hillary Clinton’s campaign manager John Podesta. Many users from the various online forum have been connecting Assange’s alleged internet severing with WikiLeaks’ recent release of sensitive material about Hillary Clinton’s campaign for president.